What a funny place to plop down and read a book! Kids bodies just don't hurt like adult bodies do eh? I'm all about finding some place cozy to read! I know, I don't think I could have sat there as comfortably as she did. 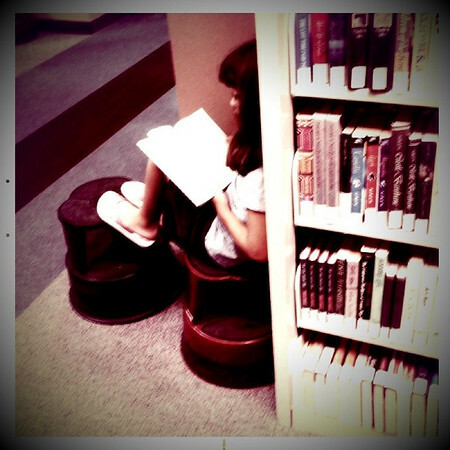 We were at the library and she set up the stools and perched herself against the shelf to read while I picked out my books.